Mum’s Marketplace is a business directory brought to you by Work At Home Mums. Are you a work at home mum with a business who could use a boost? Do you want a cost effective way to reach thousands of perspective customers? Advertise on the Mum’s Marketplace business directory. Work At Home Mums has over 10,000 unique website visitors per month, more than 26,000 Facebook followers and over 5,000 Twitter followers. 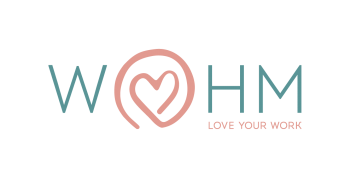 We all want to support small business and Mum’s Marketplace is a great place for mums (or dads or anyone) to find products and services then need and support a WAHM at the same time. It doesn’t matter if you sell handmade items, provide hairdressing services at home, have an online store or are a virtual assistant wanting clients, Mum’s Marketplace has a spot for you. Don’t see a category your fit into? Just put your business in the ‘general’ category and email us at hello@wahm.com.au with the category your would like. We will create a new category and move your listing. Listings in a category are place in a random order, not alphabetically. Featured listings will always be listed first. Your Mum’s Marketplace listing will automatically renew every 30 days (or 365 days if yearly) through PayPal. You can cancel your subscription at anytime and your listing will run out at the end of your current paid for period. Please note you will need to cancel the payment through PayPal or email us to cancel.